Chart properties of Comcast Corp., CMCSA show potential for real-time (immediate) reversal. 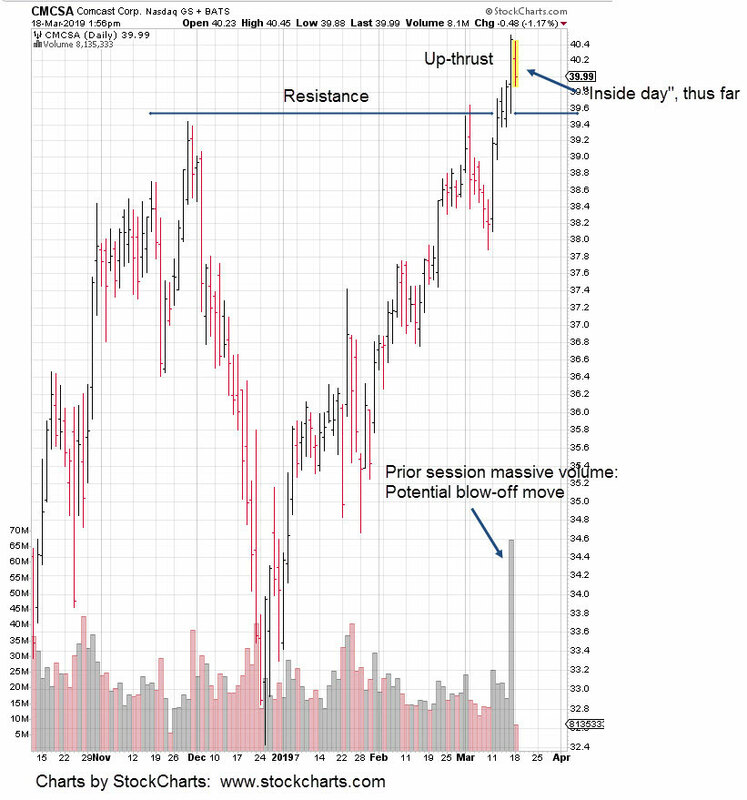 In Wyckoff’s text, he discusses the significance of heavy volume; especially when penetrating resistance. Thus far we have an inside-day; indicating no apparent energy for upside follow-through.